Japanese scientists have succeeded in transmitting energy wirelessly, in a key step that could one day make solar power generation in space a possibility, an official said Thursday. Researchers used microwaves to deliver 1.8 kilowatts of power—enough to run an electric kettle—through the air with pinpoint accuracy to a receiver 55 metres (170 feet) away. 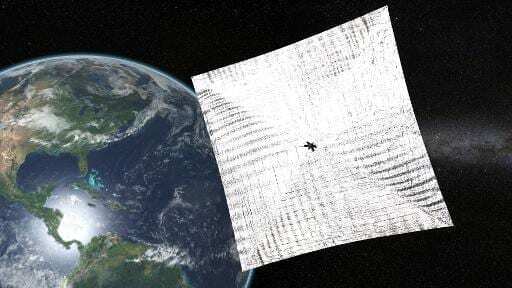 While the distance was not huge, the technology could pave the way for mankind to eventually tap the vast amount of solar energy available in space and use it here on Earth, a spokesman for The Japan Aerospace Exploration Agency (JAXA) said. “This was the first time anyone has managed to send a high output of nearly two kilowatts of electric power via microwaves to a small target, using a delicate directivity control device,” he said. JAXA has been working on devising Space Solar Power Systems for years, the spokesman said. Solar power generation in space has many advantages over its Earth-based cousin, notably the permanent availability of energy, regardless of weather or time of day. While man-made satellites, such as the International Space Station, have long since been able to use the solar energy that washes over them from the sun, getting that power down to Earth where people can use it has been the thing of science fiction. But the Japanese research offers the possibility that humans will one day be able to farm an inexhaustible source of energy in space. The idea, said the JAXA spokesman, would be for microwave-transmitting solar satellites—which would have sunlight-gathering panels and antennae—to be set up about 36,000 kilometres (22,300 miles) from the earth. March 16, 2019 - Stream Energy’s Wireless Services HiTechChronicleThe next few years will bring bigger and better things, and Stream is always making sure to stay on top of the wireless world. April 16, 2019 - Smart, Wireless Power Is Moving Us Towards More Renewable Infrastructure CleanTechnicaLast week Thursday we talked with Miriam Tuerk, the Co-Founder & CEO at Clear Blue Technologies in our free webinar about smart, off-grid technologies. April 3, 2019 - Bummed Out That Apple Canceled AirPower? Here Are 5 Other Wireless Chargers to Consider TIMEBummed out that Apple canceled the AirPower wireless charger? Here are 5 other wireless charger alternatives worth considering. April 18, 2019 - Apple glitch stops key fobs from working KomandoThe latest Apple iPad glitch is causing users car key fobs to stop working. Learn why it's happening and how to fix it. April 11, 2019 - US Department of Energy Selects WAVE Drayage Electrification Project with Groundbreaking Wireless Inductive Charger to Support Battery Electric Drayage Trucks AviationPros.comWireless Advanced Vehicle Electrification (WAVE) is proud to announce the selection of its “High-Power Extreme Fast Charging Development and Deployment f.
March 26, 2019 - Japanese Automotive Leader Furukawa Electric to Test WiTricity Wireless EV Charging System Associated PressPress release *content* from Business Wire. The AP news staff was not involved in its creation.